Zoom out. Look at the jerseys that hang on the wall inside Staples Center. They are a list of league altering talents, players whose names are disproportionately at the top of every discussion about the greatest basketball players to ever play. Magic. Kareem. Kobe. West. Baylor. Wilt. Mikan. The list goes on and on, but this is who the Lakers are, historically. Dudes who you know simply by a single name. LeBron joins this list. Even a day after agreeing to join the Lakers for a 4 years and nearly $154 million, it seems unfathomable. But it’s true. LeBron James is a Laker. Saying it out loud barely makes sense. I got the news via a text message from a friend who is a Warriors fan. It read, simply, f***ing lakers. I was driving to the store with my wife and kids in the car. I looked at my phone and my wife said I looked like Will Smith at the end of The Pursuit of Happiness. That’s probably not safe to do while driving. But there I was. Years of sweating lottery results and almost nearly the same amount of time speculating about what this specific summer would bring got resolved in an instant. The rest of day (and night) moved too fast. KCP, with his Klutch Sports connection and 43% 3-point shooting to close the year, was quickly re-signed. Then Lance Stephenson. Then JaVale McGee. 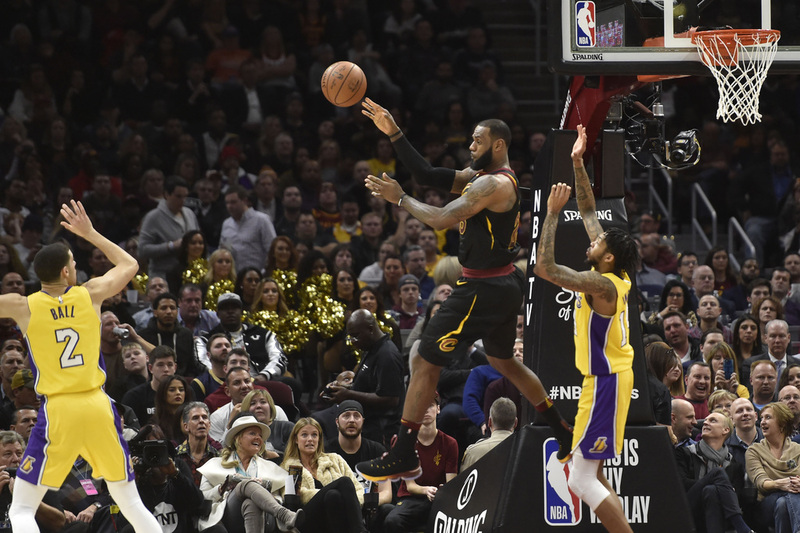 The Lakers were building some sort of weird science experiment of a team on the fly, an island of misfit toys with LeBron cast as the Rudolph to lead them out of exile. Could this actually work? Will it? The Lakers already have a talented core of young players to burgeon the roster of veterans being added. I tweeted a current depth chart yesterday, but the crux of it all is the Lakers current top 9 players, in some order, include LeBron, Ingram, Lonzo, KCP, Randle*, Kuzma, Hart, Lance, and JaVale. There’s work to be done, for sure. But that’s a mix of talented, long, athletic players who should be able to play fast, defend, rebound, and obliterate teams in the offensive paint by getting baskets in the restricted area. They do not have enough shooting — but we’ll get to that in a minute. Back to LeBron. When I wrote about my ideal Lakers free agency, I said that I had “questions” about adding LeBron to the team and I think that might have been construed in a way where I believed there were real drawbacks. That is not the case. But, as with adding any talent — regardless of how good they are — there are questions about how to optimize a player to ensure peak level play. LeBron is no different. And from that perspective, yes, I have questions. To be clear, I truly believe LeBron to be the best player in the league (or, at the very least, in a co-discussion with Kevin Durant). I don’t need to run down every positive here. I can only assume if you’re reading this piece, that you have eyes, have watched NBA basketball, and can discern what is obvious. 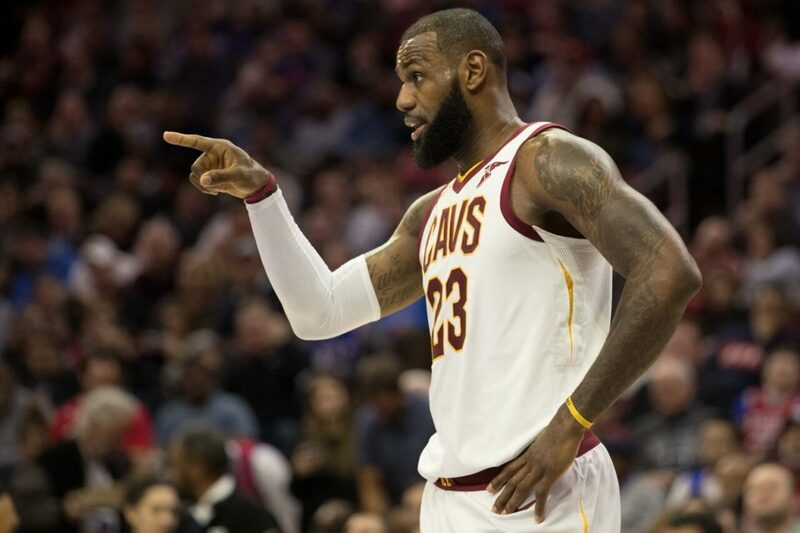 So, in skipping those formalities, I’ll simply say that I believe LeBron is also at the point of his career where he holds more of a symbiotic relationship with his teammates than in previous seasons. Said another way, there was a long, long stretch of LeBron’s career where regardless of who he played with, he’d make them better and it didn’t really matter how good they were because he’d just terrorize opponents regardless. If looking through forum blue and gold tinted shades with squint-y eyes, one could argue Ingram can be that secondary shot creator. That Kuzma and KCP can offer shooting. That Randle and JaVale can be the rugged bigs. That Hart and Lance (along with KCP and Ingram) can be those defensive wings. And that Lonzo, once fully formed, can be the type of hybrid piece LeBron has never had — a point guard with elite passing vision and instincts who is unselfish; a player who will be able to hit open shots and move/cut off-ball while also offering top level defense on guards while being a monster on the defensive backboards. But, and this is a Sir-Mix A Lot level big but, these are ideal outcomes and require a stretch to think they’re at this level now. No one believes in the Lakers young players more than I do. I think they have the foundation of skill level, work ethic, and mental makeup to be high level contributors on championship level teams. But the need for them to be closer to their fully realized forms just got accelerated. Are they ready to make a leap? If they’re not, can LeBron be as great as he’s been the last, oh, 8 years of his career for these Lakers next season? And, if they’re not, does this impact the timeline which the Lakers are operating under to build the contender they seek? This is where things get interesting and the other, non-talent related aspects of having LeBron James on your roster come into greater focus. Yes, LeBron signed a 4 year contract. This implies a strong amount of trust in the Lakers as an organization to build a team which can win a championship with him as the centerpiece eventually. But, exhibiting that trust on July 1st and then actually exhibiting the patience it implies on a random Tuesday in late January going into a back to back in Milwaukee and Minnesota are two different things. A player of LeBron’s stature brings an edginess and urgency to every team he’s on. We saw this first hand with Kobe Bryant for the better part of two decades. When things are rocky, will this organization have the institutional strength to remain on course and trust in their vision to build this thing long term? Can they deal with the noise and impending circus? Can they be steady? I am not doubting Magic Johnson or Jeanie Buss or Rob Pelinka here. The second guessing they all endured just a little over a year ago when the Jim Buss front office purge occurred have all pretty much subsided. Magic closed LeBron and the direction of the franchise has been righted. Now that they’ve built this ship, they have to not only sail it, but maintain and improve it, do so daily, and avoid missteps which could bring it all down. They must not only respond in the moment to whatever new crisis forms, but see them ahead of time to steer clear and avoid them entirely. They’ll need to massage this situation, both with the types of soft strokes of egos always required when dealing with top players as well as with the firm hand that reinforces organizational ethos when push-back is required. The days of managing a roster young players and directing them in the direction you want for culture building purposes have now been enveloped by an environment fueled by building a winner around LeBron freaking James. If all of the above sounds too negative, my apologies. Winning is hard. Golden State may make it look easy, but give them the truth serum and they’ll say the same. The Lakers are in for an uphill climb and they know it. They also know that LeBron just rocketed them 3 quarters of the way up the mountain. The summit is in sight and they have the tools and will to get there. And that, above anything else, is the takeaway here. The Lakers are now in an amazing position. They have the game’s best player, cap space, and talented young players with wonderful pedigree to build a championship contender over the long haul. I could (and will) talk to you about how any and all of them fit with LeBron and how much better I think they’ll be because of it. You’ll hear plenty about how excited I am to watch it all. But I’m going to pace myself. I’m also going to enjoy the next couple of days. LeBron James is a Laker. Excuse me while I go look like Will Smith again. *A quick aside on Julius Randle. There was report from David Aldridge on Sunday which said Randle has expressed a desire to not return. Monday morning brought a report from Shams Charania that Randle will meet with the Lakers today and that he “has excitement” about LeBron’s arrival. I’ve no clue what will transpire between the Lakers and Randle. I’ll write on this later today, but, man, I really want Randle back. We’ll see where this goes.